This hair is full of life and bounce! The curls are perfect and took no more than 3 hours to install. The hair used is ‘Spanish curl’ by Cherish, which also gives a very 50s look. Another first timer who was seeking a quick, easy, yet stylish installation. 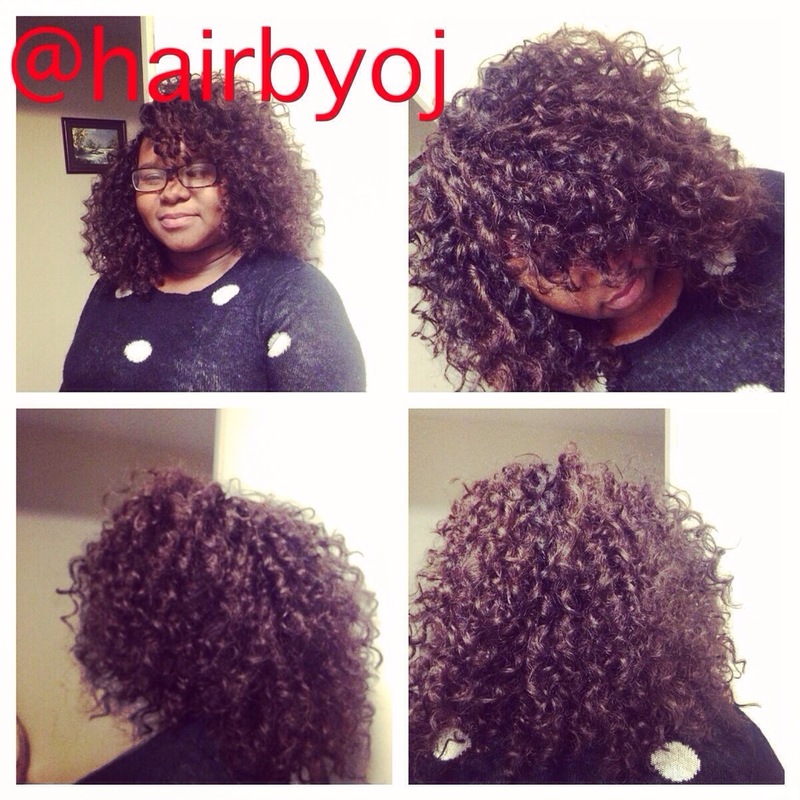 Unlike most clients, she wanted a lot of volume which evidently suits her. 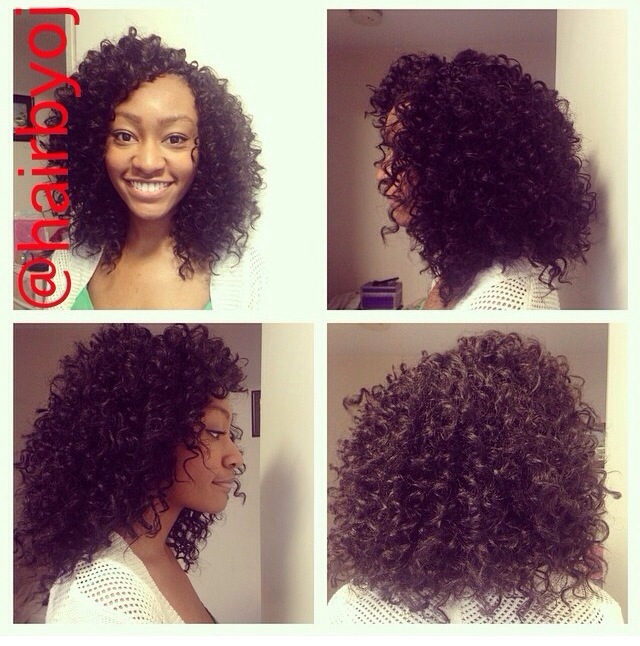 The brand used is cherish and the curl type is water wave. 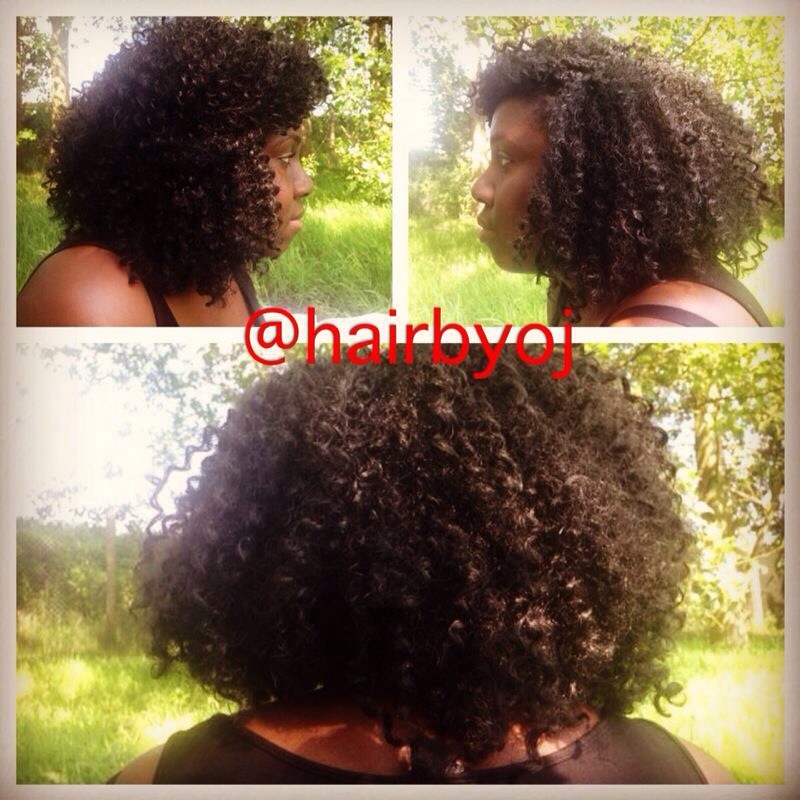 So this particular client desired a curly Afro appearance which we achieved with the tightly coiled hair she purchased. ( I’ve forgotten the name of the brand- apologies). We spent no more than 3 hours installing these as the hair was already thick and full and she didn’t want the hair to look too full once installed on her head. I think this style nicely complimented the client once it was finished! 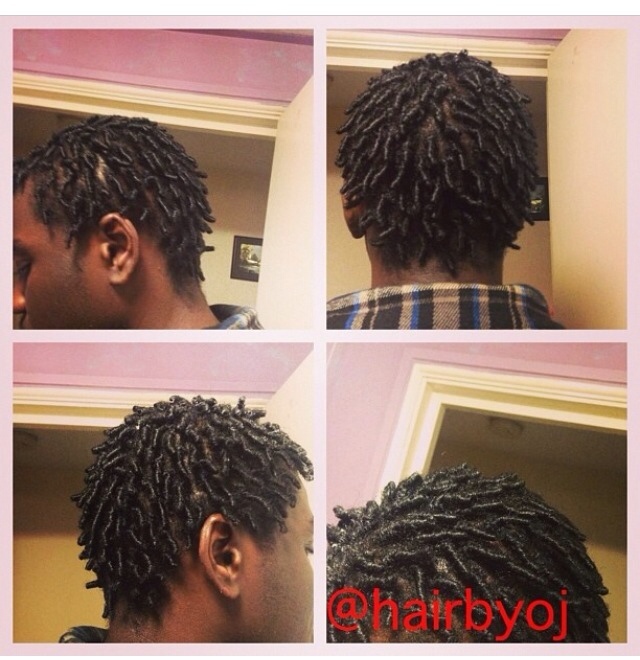 So coils aren’t the most common of styles, but what they are great for is newly naturals with a TWA or those wishing to grow dreadlocks. 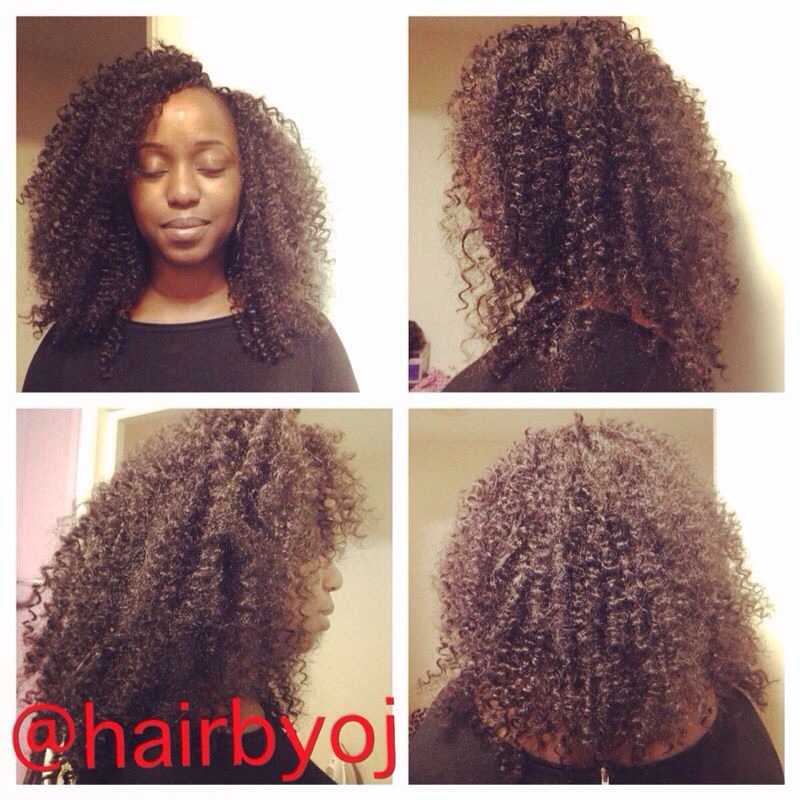 I used lock and twist gel to hold the coils in place. 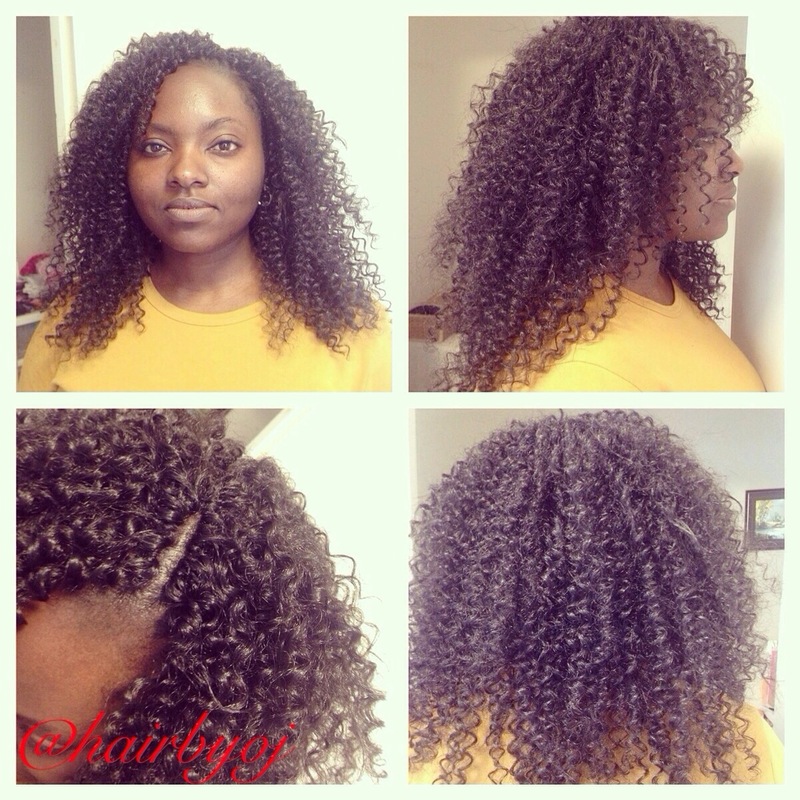 Coils are extremely simple to do (extremely simple) last long and they are incredibly easy to do!